The Internet of Things (IoT) is transforming the pharmaceutical industry at a rapid pace, according to new research from GlobalData. Indeed, IoT software and services in the pharmaceutical industry is expected to grow from $420 million in 2015 to $2,486 million by 2020, at a Compound Annual Growth Rate (CAGR) of 42.7 percent from 2016 to 2020. IoT has the potential to enhance almost all the processes of the pharmaceutical industry ranging from clinical trials, drug disclosure, manufacturing, and supply chain to remote patient monitoring, according to the London-based data and analytics company. “IoT software and services effortlessly connect and create the base upon which IoT applications and use cases can be realized to develop a comprehensive solution that will benefit organizations to reduce response times, enhance product quality, security, and boost performance,” explains Alok Singh, senior technology analyst at GlobalData. 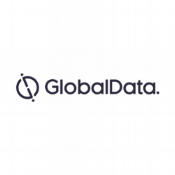 GlobalData’s pharmaceutical IoT software and services revenue forecast depicts significant growth in the Asia-Pacific region, to reach a value of $655 million by 2020, growing almost fivefold against the 2015 baseline. The Asia-Pacific region’s robust IoT software and services growth in the pharmaceutical sector is primarily driven by the large number of upcoming pharmaceutical manufacturing organizations, increasing expenditure, high internet penetration rates, government investment policies, demand for quality treatment, and rising adoption of new technologies like cloud computing, big data, and artificial intelligence (AI). Moreover, the Middle East & Africa (MEA) region will deliver the fastest overall growth in IoT spending with a five-year CAGR of 49.9 percent, but from a far smaller base. Meanwhile, North America and Europe are the largest regions in terms of investment at the beginning of the forecast period and combined represent a $1.5 billion market by 2020. (For more information visit https://www.globaldata.com).